One thing you should know about me is that I hate eating leftovers. There may be a couple things, which I wouldn’t mind having once the next day, but I’m very picky about it. 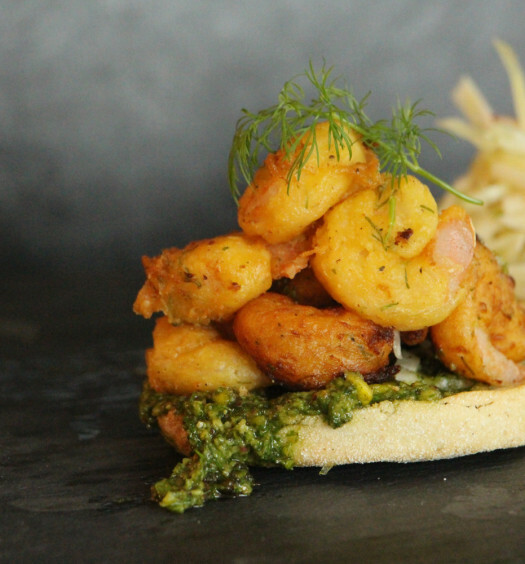 When I was younger and used to come home from school, I would make crazy combination snacks with odd flavour and ingredient pairings. My siblings would always question my palette and call me weird…until they tasted it and they realized it made sense and wanted more. So I started to take leftovers from dinner and transform it into something that would hide the leftovers but still taste delicious. 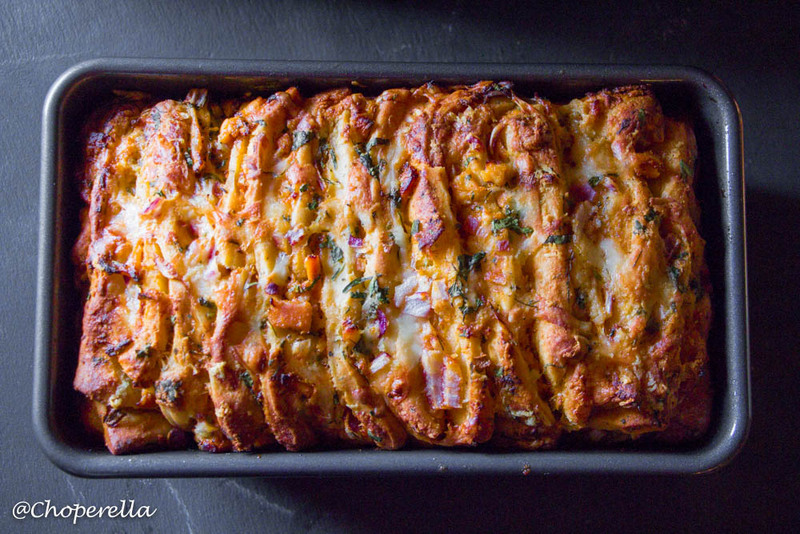 Now there’s Butter chicken Poutine, Butter Chicken Pizza, My Butter chicken Nacho’s and now…my Butter Chicken Pull-Apart Bread!!! 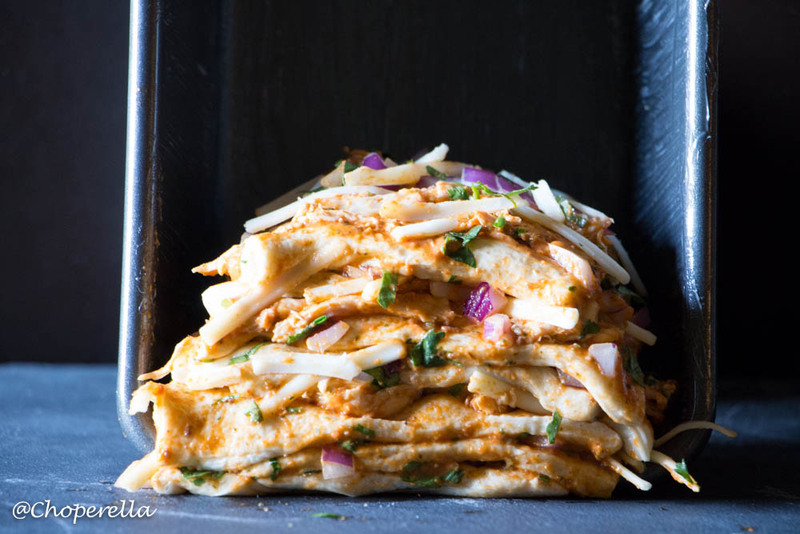 It’s a delicious twist on eating garlic naan with butter chicken! I used the same recipe that I used for my Butter Chicken Nacho’s and made the pulled chicken. 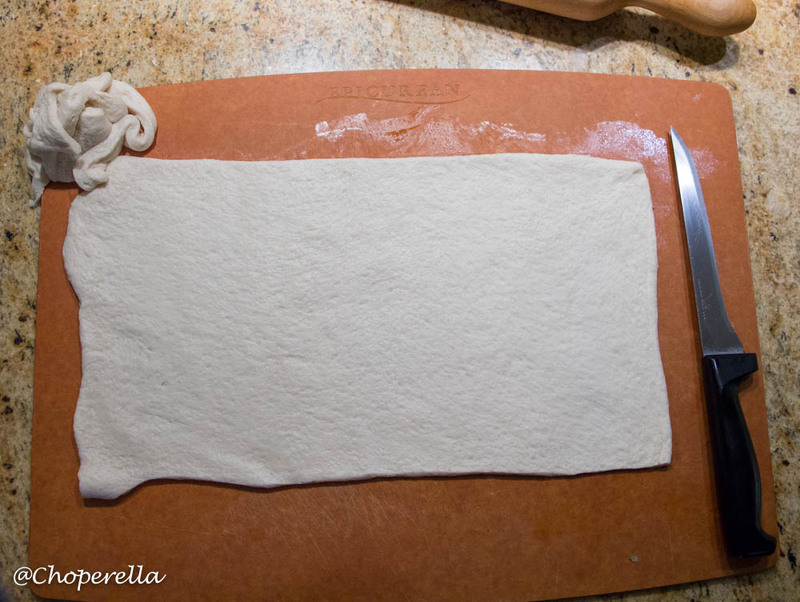 To keep it simple, I relied on trusty Pillsbury Pizza dough. Feel free to make your own bread dough if you like. If you don’t have tandoori chicken leftovers, the recipe for my Butter Chicken Nacho’s also has the tandoori chicken recipe. Pair it with a pint of beer and a salad on the side for a delicious meal. It’s fun to eat with the family for brunch, lunch or dinner! 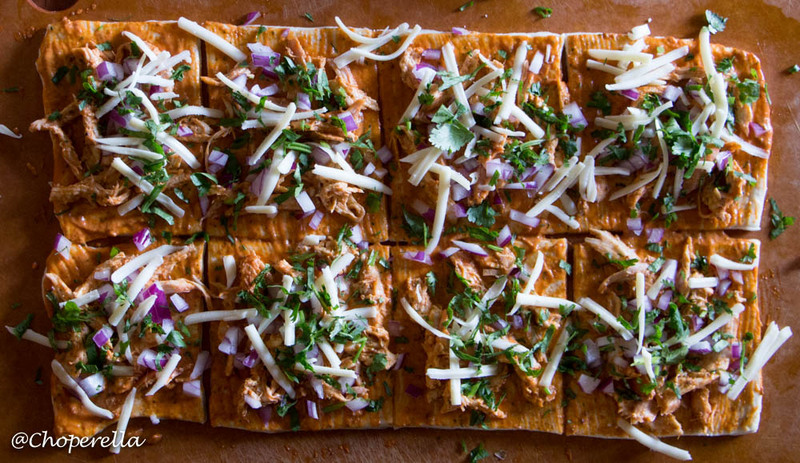 Make the pulled butter chicken. Toss the pulled chicken in enough Makhni just to coat. Reserve the rest of the sauce. Pre-Heat oven to 400°F with the rack in the middle. Grease a 9” loaf pan with butter or spray. Dust your work surface with a little flour. 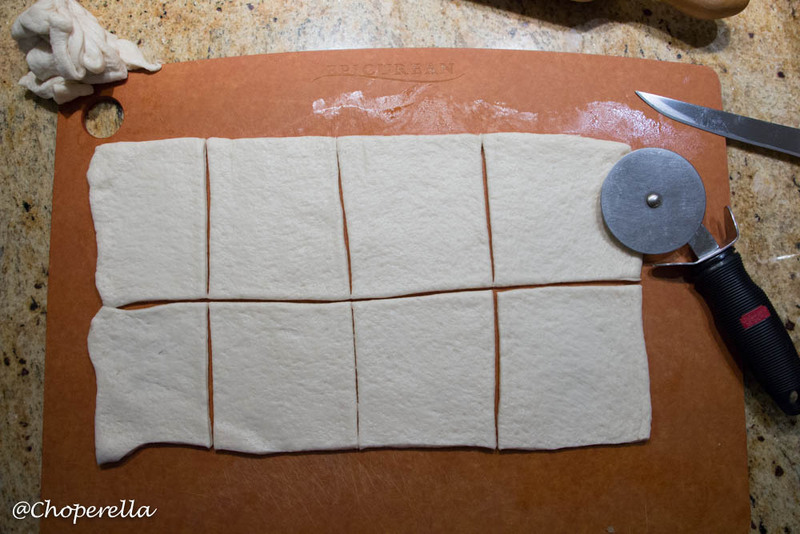 Roll out the pizza dough to 1/4 “ thickness. 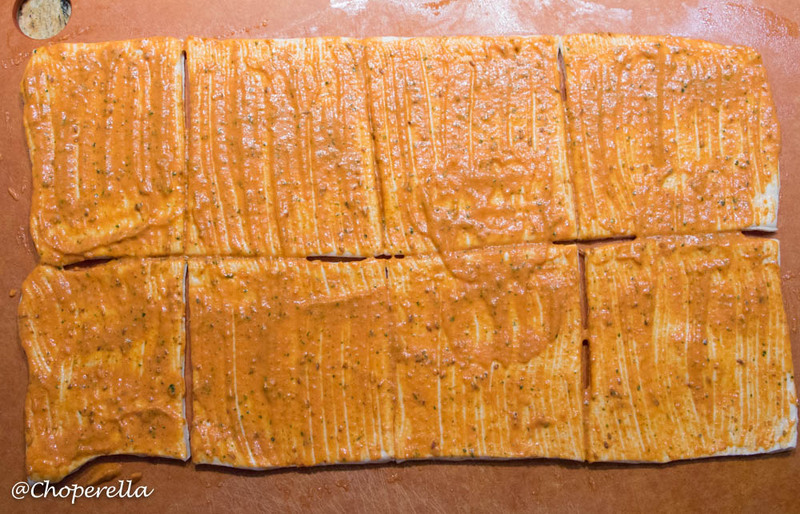 Brush a good layer of the Makhni (Butter Chicken Sauce) over the dough. 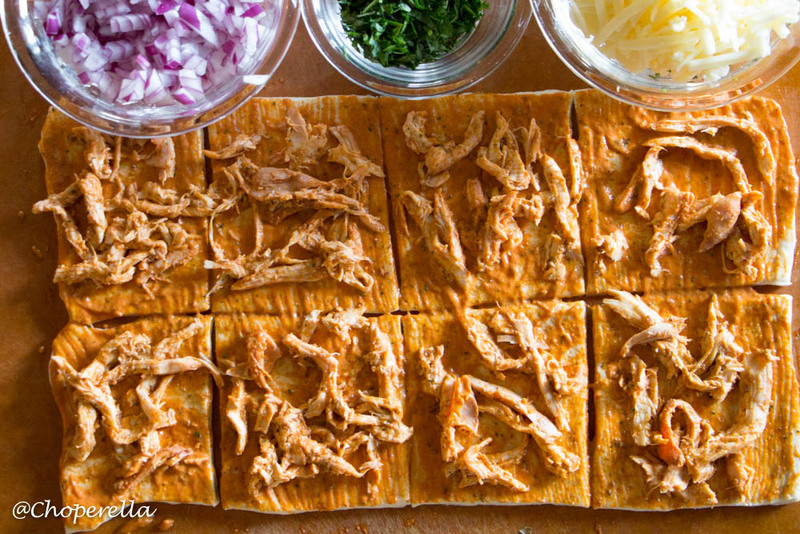 Top with pulled chicken evenly. Sprinkle chopped onion, cilantro and a light sprinkle of Mozzarella. REPEAT WITH 2nd ROLL. Note: You will have extra sauce to use for dipping. Cut each square evenly into 4×4″ squares using a sharp knife or pizza cutter. Stack them on top of each other carefully. 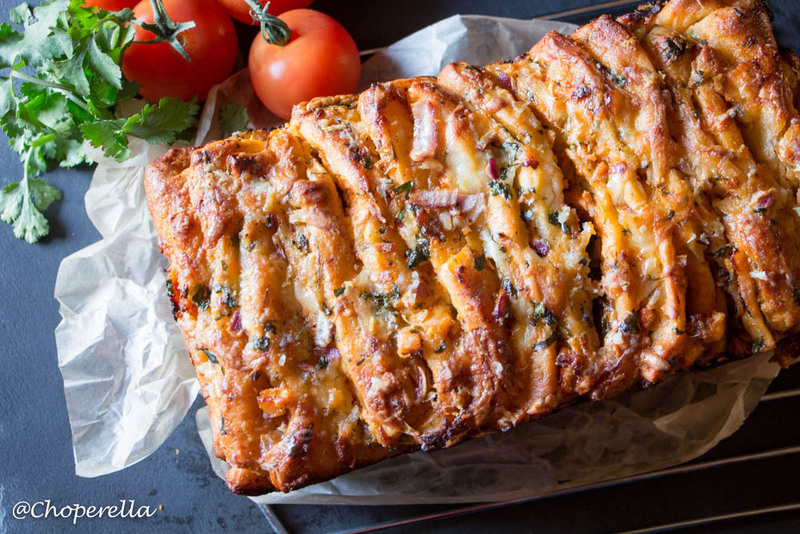 Put your loaf pan on it’s short edge with something to lean on. Pile the layers on top of each other. Don’t worry if it doesn’t fill the entire pan, the dough will expand. Cover and let it rest for about 10 minutes. In the mean time, mix together the garlic and butter. Put in the oven and cook for 15 minutes at 400°F. Take out and Brush the top with the garlic butter. Lower the oven to 350°F. Put back in the oven and cook for 40 minutes until the top is nicely browned. Take out and let cool in the pan for 10 minutes. Turn out onto a cooling rack and enjoy. Use the extra Makhni sauce to dip. I’m still dreaming of making those butter chicken nachos, and now I see this! Have mercy! Haha Sorry Julia! 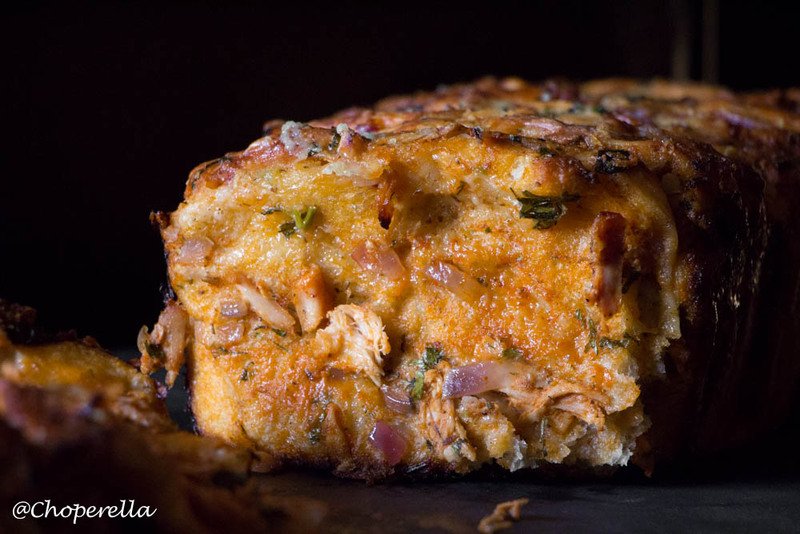 Now you can double the recipe and make both Thank you for sharing it!! Thank you!! It’s always so fun playing with leftovers. I love how creative we can be.